Ahhhh! 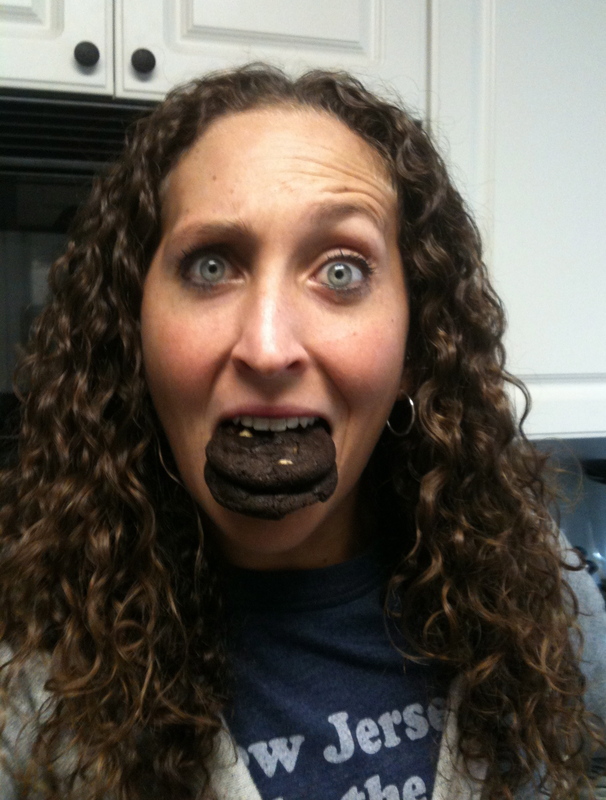 The Immaculate Cookie Monster! | Do the twisted. Ahhhh! The Immaculate Cookie Monster! I’m usually weary of frozen cookie dough, as I prefer baking cookies the homemade way with flour everywhere, even under my nose looking like I just partied in Miami. But one day, I picked up a package of Immaculate Baking Company’s frozen cookies. First, it was like I received a pony because there were 24 cookies! Helluva lot better than 12 cookies like the other wise guys. Also, they are cheaper. Double the cookies for less? Obviously, I picked up not one, but two packages. I could be cliche and say I stole all the cookies from the cookie jar. Wah, wah, wah. But let’s be serious. The cookies wouldn’t even have a chance to be put into the cookie jar because I’d eat them all. They are perfectly sized and absolutely delicious. So delicious, I tend to eat 5 in less than 2 minutes and then have my partner strap me down so I don’t eat hers. But she usually lets me eat her last one anyway. Must be the evil, uncomfortable stare I give her. 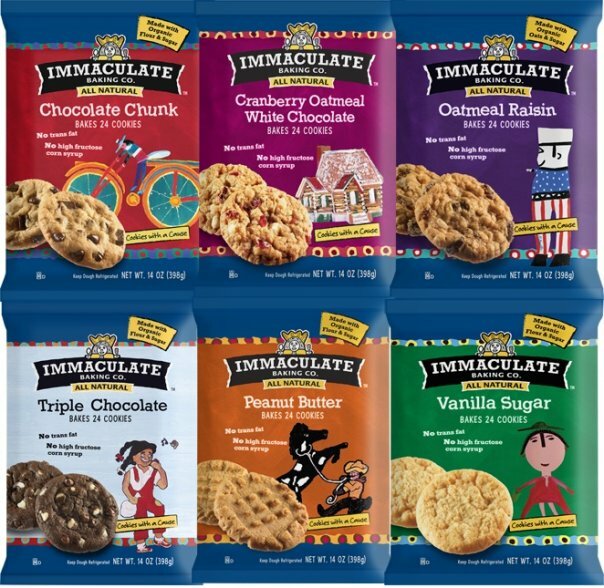 Immaculate Cookies are all natural with no trans fat or artificial ingredients and are made with organic flour and sugar, which basically allows you to tell yourself it’s okay to scarf them down like its the end of the world. There are only 3.5 grams of fat and 80 calories per cookie, which makes you feel good as you indulge, but come on, who eats one cookie? Cookies are the domestic version of crack. May I suggest the Chocolate Chunk, Triple Chocolate, or Peanut Butter Milk Chocolate Chip? Those are the ones I tried so far, but I hope to cross every flavor off my bucket list. You can find them in stores around the country, or you can buy them online. Visit their website for more deats. they also have scones, which are pretty awesome! there’s also a story behind each piece of artwork on the packaging. pretty cool company!